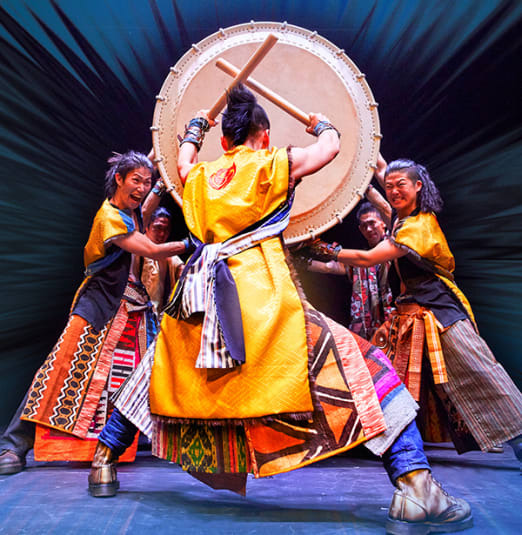 From beautiful Nara Prefecture in Japan, we are thrilled to announce that YAMATO The Drummers of Japan are bringing their captivating and high-energy performance to Roy Thomson Hall. This exhilarating performance begins with a group of dozens of players hitting a Japanese taiko drum made from a large 400 year-old tree. They move their whole bodies to strike the drum with everything in their souls, creating a powerful surge of energy. Their live performances are so full of intensity that they make people's bodies jump and their hearts race faster. 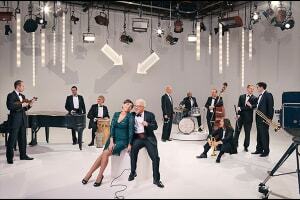 Audiences are overwhelmed by the beat of the music as their bodies are uplifted in sync with the powerful sounds. This group is able to exhibit great originality and innovation through this traditional Japanese musical instrument, the wadaiko (Japanese drum). This is the epitome of the Japanese spirit, a roaring sound that will make you experience new exciting adventures. “We want to be creative” this is the motto of YAMATO. This is why, aside from the musical instruments, the members of the group live together in a community to create everything by themselves. This includes the musical compositions, theatre productions, theatre settings, lighting design, choreography, performance techniques, costumes, makeup, stage settings and props... even the bachi (sticks) used in the performances are all their own original work. This is at the core of YAMATO's performances around the world. Yamato uses this creativity to convert wadaiko into a performing art that can reverberate in Japan, Asia, and the rest of the world. Join us for their newest program “Jhonetsu", as it captures YAMATO’s virtuosity, strength, spirit and sheer endurance.